I recently had the pleasure of participating in a panel discussion entitled, “The Great BIM versus GIS Debate”. This 90-minute session in front of a packed room was moderated by Matt Ball (@SpatialSustain) and proved to be a lively (and sometimes heated) discussion between myself (@engis), Pete Southwood (@Geo_Pete) and members of the audience. Issues addressed in the debate encompassed technology; data accuracy, access, integration and analysis; collaboration and efficiency; and the future of GIS and BIM. Dale Lutz (@DaleAtSafe) posted his thoughts on the debate here. Although there was no clear knock-out punch by either opponent, he did include a list of the best (and some would say hilarious) “zingers”. Matt Ball (@SpatialSustain) posted his thoughtful perspectives of the debate here. His great summary covers “Concepts or Tools”, “Point of Truth” and “Integrated Infrastructure Information”. Are you a GIS professional convinced that GIS is the technology of choice for mapping and analyzing the world we live in? Are you an engineer or architect with years of CAD experience confident in your abilities to create cost effective and sustainable designs? Regardless of which camp (GIS or CAD) that you may be a part of, “The Great BIM versus GIS Debate” is sure to be a lively session at Autodesk University this year. GIS gives us a way of mapping, analyzing and managing our real world assets within a geospatial context. It gives us a way of integrating and relating seemingly disparate data sets based on geography. GIS is a tremendously useful planning tool that helps provide us with insight into our infrastructure projects in a way that traditional CAD technology cannot. BIM is similar to GIS in some ways. If you are unfamiliar with BIM as it applies to infrastructure then I encourage you to check out a detailed explanation in my previous blog post. 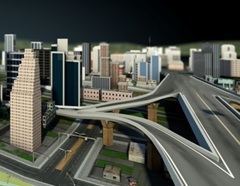 Simply put, BIM is Information Modeling for the Built environment. It’s is a process - not software - a process that lets you explore the physical and functional characteristics of your project digitally, before it’s built. At the heart of BIM is an information model – a model that is used throughout the infrastructure lifecycle – a model that is passed from planning and conceptual design phases to detailed design, construction and then to management phases. As a result, the application of the BIM process can lead to significant time and dollar savings during construction and additional savings throughout the life of the asset as a result of better more sustainable designs. So, when it comes to supporting the infrastructure lifecycle, which is better? BIM or GIS. Both BIM and GIS have their advantages; both have their supporters. 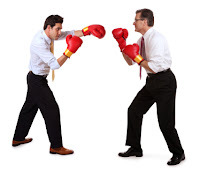 Well, if you’re unsure about BIM as it applies to GIS or visa-versa, then I encourage you to check out the “The Great BIM versus GIS Debate” at Autodesk University. This panel session will be moderated by Matt Ball (@SpatialSustain). Peter Southwood (@Geo_Pete) and I (@engis) will be opposing each other on behalf of the two camps: GIS and BIM. With what I am sure will be provocative questions from Matt Ball and audience members, Peter and I will feel the heat as we do our best to respond to questions encompassing technology; data accuracy, access, integration and analysis; collaboration and efficiency; and the future of GIS and BIM. If you are attending Autodesk University, please join us. If you are unable to travel to Las Vegas to attend Autodesk University in person this year, you can still participate virtually by registering for AU Virtual. It’s free and only takes a moment to register. And while on-line with AU Virtual, why not make a point of catching my virtual session, entitled “Better Infrastructure Planning with AutoCAD Map 3D”. Attend this session to see how you can turn today's planning and design challenges to your advantage with Building Information Modeling (BIM) and a more powerful and productive AutoCAD Map 3D. BIM for infrastructure is creating a cultural shift in infrastructure planning and design workflows. Increasingly, infrastructure planning and geospatial professionals working on transportation, utility, and other infrastructure projects are being asked to integrate planning data with BIM models to more directly represent as-builts and better leverage "GIS ready" design data. 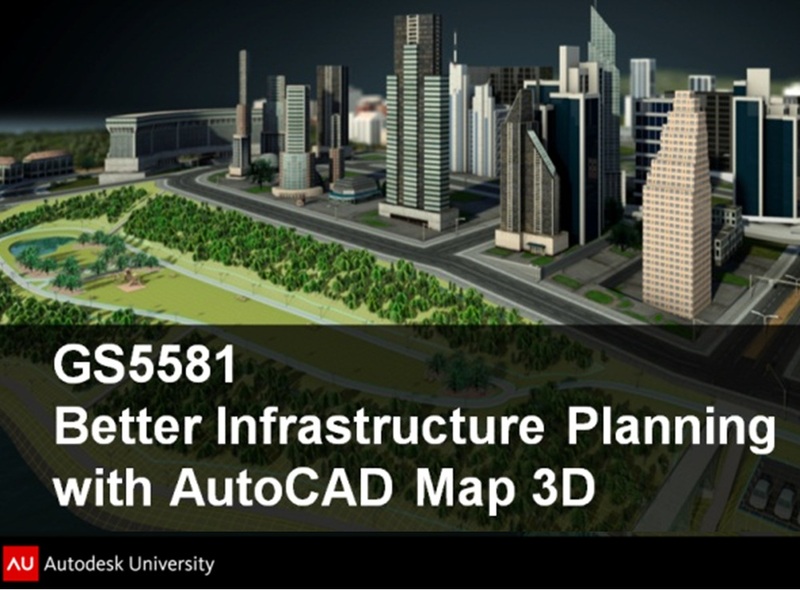 Attend this virtual session and discover how AutoCAD Map 3D can help. AU Virtual, Class GS5581. Tune in on November 29, 2011. Last year, in honor of GIS Day, my colleagues and I created a webcast that highlighted Building Information Modeling (BIM) and its impact on the geospatial community. I also blogged about this topic a short time later via GIS User. This year, for GIS Day 2011 and consistent with the BIM and GIS themes, I created an on-demand webcast that highlights Autodesk Infrastructure Modeler – a new geospatially enabled, 3D conceptual design tool from Autodesk. View this webcast to see how you can incorporate existing 2D CAD, GIS, BIM, and raster data to quickly create 3D models that more realistically depict the local environment. Learn how you can easily evaluate multiple design alternatives in the context of the existing environment by overlaying GIS data and using infrastructure sketching and proposal management tools. See how you can communicate visually rich proposals of these alternatives with interactive navigations, rendered images, and recorded videos. With over 150 sessions either highlighting or referencing BIM at Autodesk University (AU2010), BIM was certainly a popular topic. And now, you probably know that BIM is about using model based designs for better planning, faster visualization and stronger management. But if you’re looking for a brief explanation of what BIM is so that you can share what you’ve learned with your colleagues in a way that doesn’t cause their eyes to glaze over, check out the these two short videos. This first video explores an entire project lifecycle and shows how BIM solutions can help make our cities more sustainable. This second video emphasizes the role of information modeling in planning, designing, visualizing and managing municipal and utility infrastructure. Whether it’s CAD or GIS, we all use a variety of tools to get the job done. One would think though that after more than 20 years, the task of integrating CAD and GIS data would no longer be a problem. Imagine my surprise then when both of my Unconference Sessions at Autodesk University (AU2010) were filled to capacity. Each session began by exposing the magnitude of the CAD/GIS integration problem – a billion dollar problem that impacts engineers, contractors and suppliers throughout the planning, design and construction phases. However, these impacts pale in comparison to the many billions lost due to a lack of interoperability by the owner/operators during operation and maintenance phases (NIST). Participants were then divided into small groups to discuss their own CAD/GIS integration problems. The results were interesting. Technology it seems was not the main point of discussion. In fact, organizational influences, data ownership, lack of understanding, workflow and standards were the primary factors contributing to an organization’s lack of data integration. Next, participants were asked to come up with a list of possible solutions. Again, rather than “fix the technology”, discussions centered around solving data related issues and increasing communication, collaboration and education on the CAD/GIS integration topic. The session concluded by participants sharing their plan-of-action for tackling the issues exposed. In fact, when I asked participants, "Who is committed to tackling the CAD/GIS integration problem within their own organizations? ", the vast majority raised their hands in a resounding yes! If you were one of my session participants or are in the process of tackling your own CAD/GIS integration issues, please share your experiences by sending me a note or including a comment. I would love to hear about your progress. For more session highlights, please check out Spatial Sustain and Matt Ball's blog on this topic. Are you struggling with CAD/GIS data integration? Well, if enrollments for my two AU2010 workshops (see blog) on this topic are any indication, it seems that you’re not alone. Data integration is a hot topic! In fact, when you throw BIM and large-scale city and infrastructure models into the mix, the data integration issues can become overwhelming – especially if you don’t have the right plan or the right tools. How do you get the big picture when you need to aggregate CAD and GIS data, wireframes and building models, surfaces and aerial photos? How do you analyze and visualize this data in 3D quickly and efficiently? If these questions resonate with you then check out Autodesk LandXplorer. I’ve blogged about Autodesk LandXplorer previously. But why not register for an Autodesk LandXplorer class while at Autodesk University? For example, Dan Campbell of the City of Vancouver is delivering a session (CV220-3P) entitled “Claiming New Territory with Autodesk LandXplorer”. I’ve seen Dan Campbell present numerous times. His sessions are always informative, entertaining and filled with lots of eye-candy. You also don’t want to miss the hands-on lab (CV234-27) being led by Lynda Sharkey of Autodesk. Her lab is an introduction to Autodesk LandXplorer. Oh and be sure to check out the hilarious promo video for her class. This blog is a forum for sharing my thoughts and experiences on CAD, GIS and BIM - a forum for my geoExpressions, if you will. It's dedicated to the engineering and geospatial challenges faced by local governments, utilities and other organizations as they design, build and manage their above- and below-ground infrastructure. In addition to my geospatial musings, topics will include business and technical discussions focused on Engineering GIS, CAD/GIS workflows, BIM, and geospatial techniques of interest to design, CAD and geospatial professionals. The materials contained and the opinions expressed on this blog are my own and are not necessarily those of Autodesk.